Home » DIY » Hot Glue and Fabric! World’s fastest bunting project. I am not known for my sewing abilities – not to mention patience. However, I am a master when it comes to hot-gluing things. This project took an afternoon and I walked away with one minor burn to the index finger. 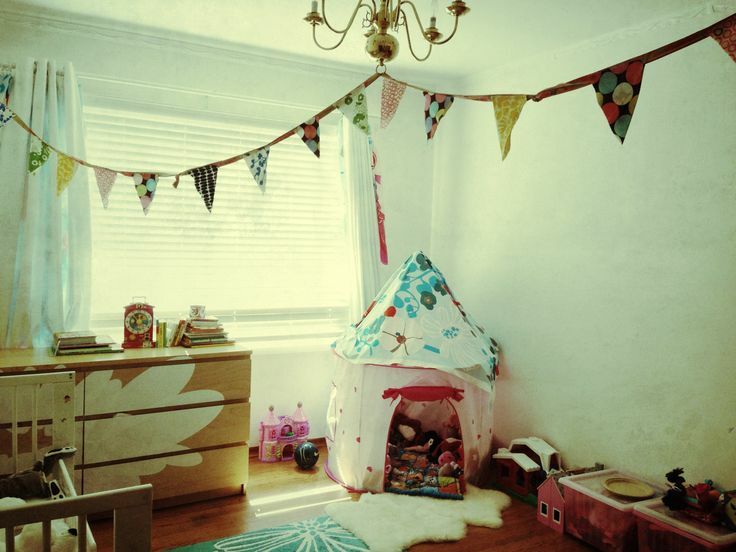 It has completely transformed the energy in my daughter’s room. She loves it!